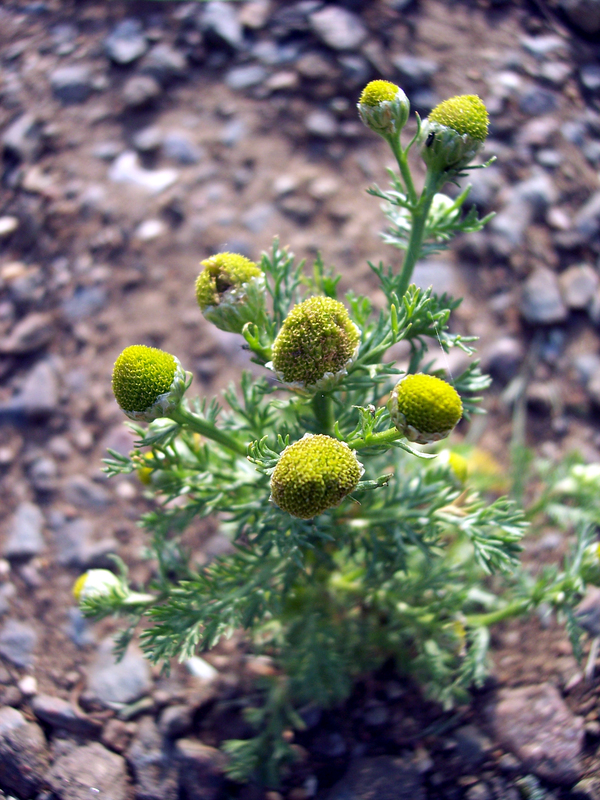 The plant grows well in disturbed areas, especially those with poor, compacted soil. It can be seen blooming on footpaths, roadsides, and similar places in spring and early summer. The flowers have a chamomile/pineapple aroma and The leaves are pinnately dissected and sweet-scented when crushed. The flower-head is composed solely of small disc florets with four lobed tubes there are no ray florets. It is common on sandy loamy soils and stoney soils throughout Britain. Picture taken at Old Warden, Bedfordshire 23rd June 2006.